Good Lord what a fantastic day with Seb and Co! You wouldn’t think it to look at me now (I get tired just running a bath these days), but as a youngster I was really sporty. Being a member of my local athletics club -Wolverhampton & Bilston, meant that I trained a couple of times a week and competed in athletics tournaments pretty much every month throughout the athletics season. Growing up in the eighties I have fond memories of sitting round the telly of an evening watching the athletics with my Mom and Dad. The eighties produced some real sporting icons; Daley Thompson, Fatima Whitbread, Steve Cram, Steve Ovett, Geoff Capes, Linford Christie and Steve Redgrave to name a few, but my favourite athlete was always Sebastian Coe. During his career, Coe set 8 outdoor and 3 indoor World records in middle distance events and won four Olympic Medals. What a guy! This week I had the privilege of hearing the man himself speak at a conference I attended at The Hilton Hotel in Birmingham. 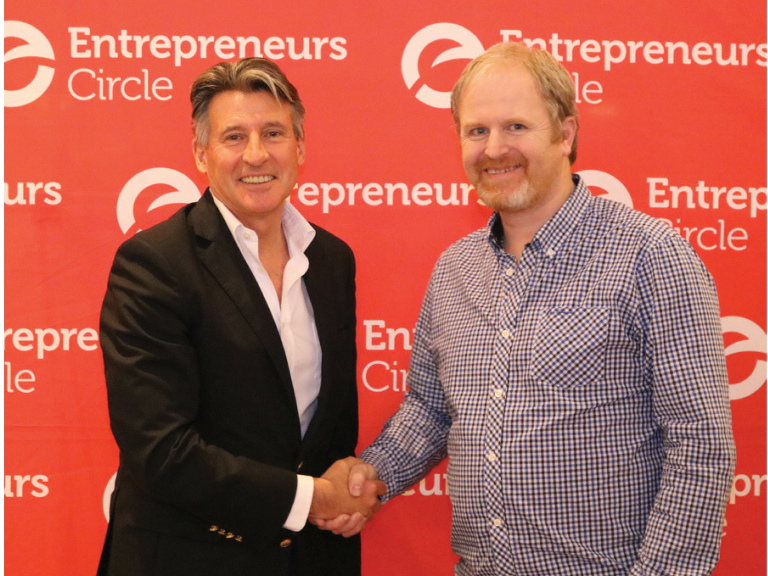 I was there as part of the Entrepreneurs Circle Celebrity Summit event – a one day conference full of content designed to educate, inspire and motivate entrepreneurs to grow and develop their businesses. Coe was there to give us an insight into his career as an athlete and as the guy who led the bid for the London 2012 Olympic Games. As entrepreneurs we all have to be determined, focussed and driven constantly and let’s be honest - there's no better opportunity to learn how to do that than from a man who's done it consistently for so many years at the highest level. It was an incredible day, not only did I leave the Hilton with my head full of ideas and strategies to implement in our business but I got to meet one of my sporting heroes and hear about the things that fuelled and inspired his remarkable career too.